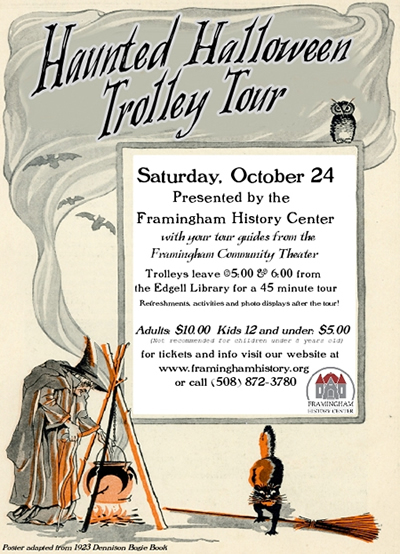 “Take a 45 minute trolley ride through Framingham’s mysterious past. Costumed actors tell true stories “dug up” and verified by author James L. Parr during a tour that features haunting scenes at actual locations of the town’s most bizarre and scary tales. Sword fighting pirates, ghosts, highwaymen and eerie tableaus will unfold as riders wend their way through the highways and byways of town.